CORPORATE PRESS RELEASE via Canada News Wire … NOT JOURNALISM . MEDICINE HAT, AB, July 26, 2018 /CNW/ – Rogers announces it has improved wireless service in Medicine Hat. Whether flying in and out of the Medicine Hat Regional Airport, working while on the go, or visiting for a holiday, Rogers and Fido customers in this growing community will have a faster, more reliable and consistent wireless experience than ever before. Furthering support of the growing economy in Medicine Hat, on July 5, Rogers formally acquired CJCY-FM (102.1 CJCY Classic Hits), and joins the Rogers station CKMH-FM (105.3 ROCK). This acquisition also serves to strengthen Rogers Media’s diverse roster of radio and television brands in Alberta, including 14 radio stations in the genres of Rock, Country, Top 40, and Multicultural, along with TV properties; Citytv, OMNI Television, and Sportsnet. With this network investment, Rogers and Fido customers in Medicine Hat will be able to connect to more of the things they love, whether that means streaming their favourite TV shows, downloading work documents, posting on social media, or even chatting with friends. Today’s announcement builds on the recent Rogers wireless investments announced in Lethbridge and between Banff and Calgary. 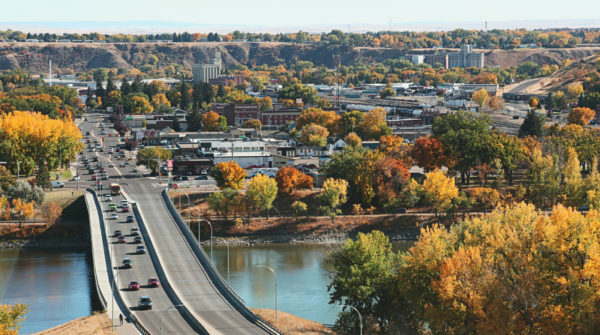 Medicine Hat network enhancements are part of a multi-year national network plan to bring next generation wireless services to Canadians including Gigabit LTE network and 5G with future ready technology and equipment that is based on the latest global 3GPP standards, including 4×4 MIMO, four-carrier aggregation and 256 QAM. Rogers is working in partnership with Ericsson, a North American leader in network infrastructure and 5G deployment. As part of this plan, Rogers will continue to boost and densify its network with small cells and macro sites across the country.